This opulent set is a set above the rest. Firstly Taylor’s of bond street are a centuries old , shaving Institution. Taylor’s a very English shaving shop based In the heart of Mayfair. 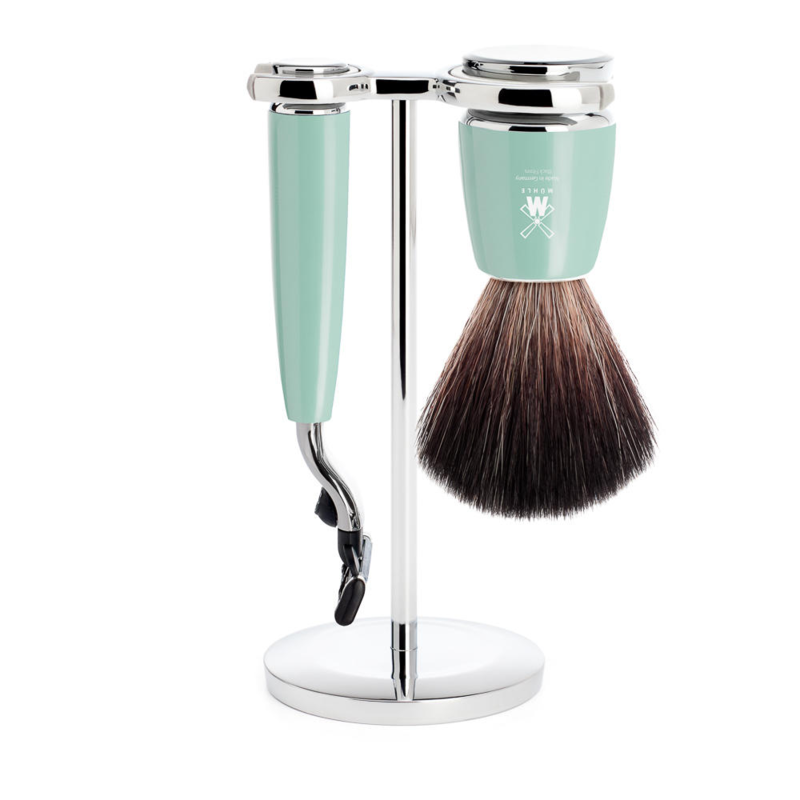 Which has provided city gentlemen with a quality range of shaving equipment since 1854. The Taylor’s of Bond street Edwardian Black fusion set, is comprised from stainless steel and high end Jet black acrylic. which compliment each other so well In any light. The Edwardian sets shaving brush Is super badger, a top grade of animal hair. 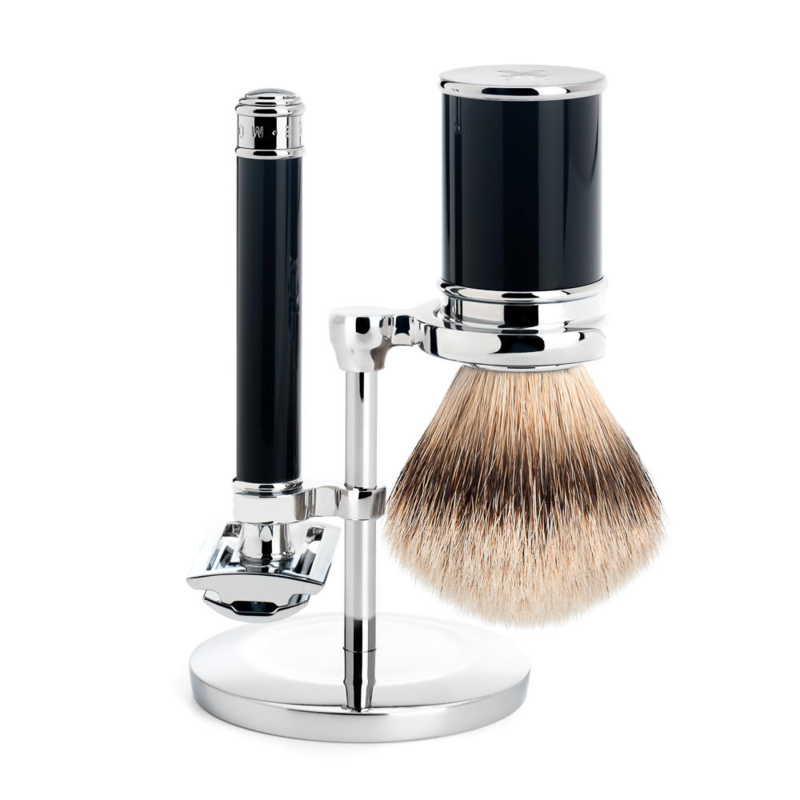 Traditional badger Shaving brushes, have been the choice of hair since the 18th century. To maintain a quality brush for at least a decade, just rinse after using and return to the stand to dry. The Taylor’s of Bond street Edwardian Black fusion set Is a traditional set yes, although It Is compatible with a modern Fusion cartridge, for speed and comfort In the morning. Making this set Ideal for the Modern city Gent who Is running for the 7.15 train. 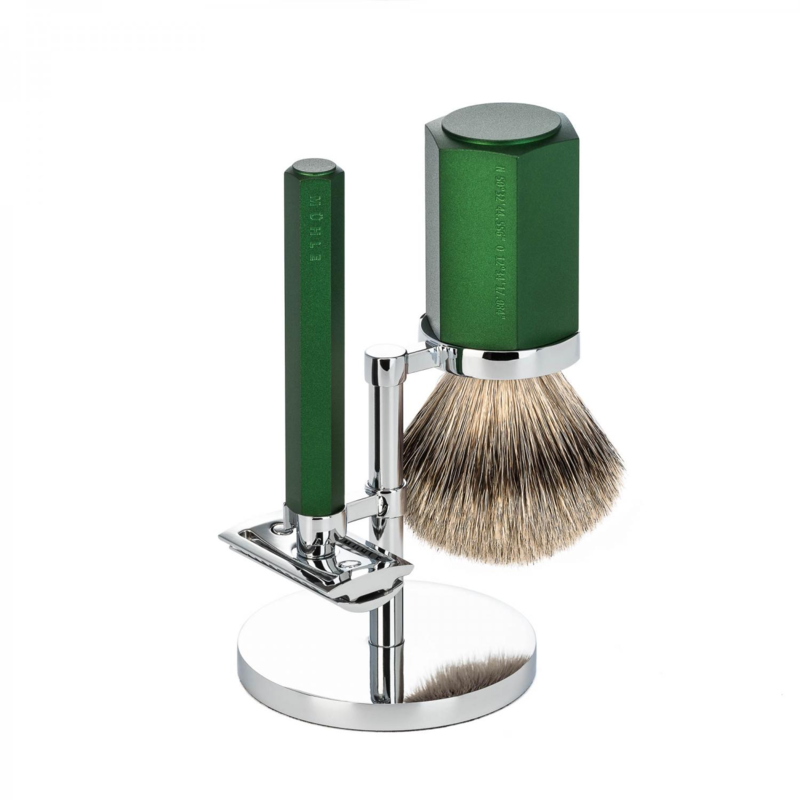 Edwards traditional shaving emporium, has a great deal of shaving knowledge archived on our blog, why not have a look. 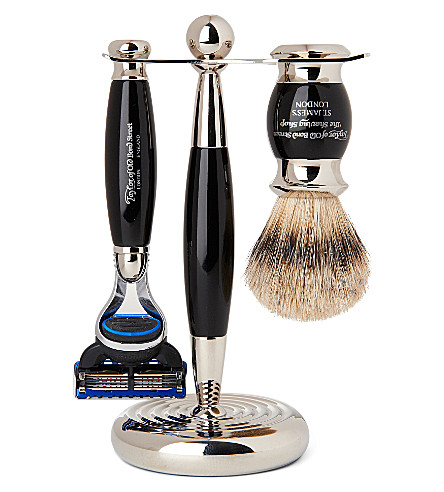 You will find some traditional shaving gems. Other wise please contact us If you have any questions regarding the,Taylor’s Edwardian Black shaving set.